Time-honored dimensions from the new Lucien Piccard Supernova collection. 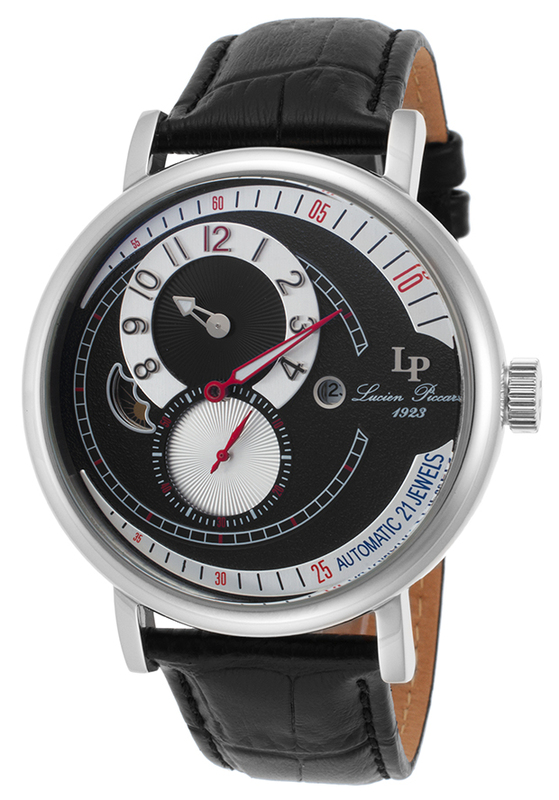 This extraordinary regulator automatic timepiece for men captures the spirit of the brand's vintage timepieces of yesteryear with a distinctively patterned dial featuring individual hour, minute and second dials along with a date window and Sun and Moon indicator. The perfectly round case, polished to a mirror-bright glow is presented on an attractive alligator-textured leather strap. A uniquely shaped exhibition case back adds distinction.